Some people would like you to think blogging as we know it is over. They share the eye-popping numbers for Tumblr’s growth, for example: 355 million unique visitors per month, and 400 million pageviews per day. And it’s true that Twitter and Facebook have lead many people away from blogging. But publishing content on a blog is superior to these platforms in many ways, like putting a human face on your brand, differentiating you from your competition and educating prospects and clients. But I want to expand on seven areas that will prove essential in 2012. Just because most of the conversation is moving off of the blogging platforms doesn’t mean that you should abandon ship. See, a blog allows you to create a base in which all of your work is anchored. I tweet, Facebook, guest post and use Quora, but all of that would be hopelessly messy if I didn’t ground everything I did on Quick Sprout. But you cannot fully explain yourself on Twitter. It would take me over 500 tweets to share just one of my Quick Sprout blogs with you! A blog allows you to build a fuller picture of who you are. Most people will meet you through other places…but if they like what they read on Twitter, then they’ll follow you back to your blog and find out more about who you are. You better have a lot of content to give them. Examples of tech bloggers who have used their blogs to build themselves as experts in their field are legion. These guys and gals now command attention and lead a remarkable life influencing trends, creating breakthrough ideas and giving us some of the best information out there. That last part is critical. These bloggers didn’t focus on themselves. They focused on publishing long-form, brilliant articles that put their talent and knowledge on display. Being an expert is not talking about yourself. Do that and your efforts will backfire on you. In fact, asDan Zarella explains, the more you talk about yourself the less people want to follow you. Before you even start writing, you first need to do intense research to find out what your audience needs. Where are the gaps that you can provide information? How can you avoid adding noise to the echo chamber and provide that amounts to a unique contribution to the web? What is it you love writing about? And is there any money in it? People are skeptical. They are skeptical about strangers on the street and they are even more skeptical about strangers on the internet. A blog with consistent, truthful and helpful content will allow you to bridge that gap between distrust to trust. Back when blogging was the only game in town, it was easy to build trust in a short period of time. Now it could take you six months to a year to even get a few hundred faithful followers. To be frank, it could take even longer. But be patient and persevere because the time you invest will eventually outlast those who can’t hang and you will win the trust game. You might wonder why creativity is important in a world where business and hard-hitting metrics seem to dominate, but the answer is simple: in any competitive field it is the most creative who will succeed. Look at the rise of the infographic. By employing the use of infographics GOOD magazine got put on the map. Many businesses noticed their success and followed suit. But they must evolve…and they only way they can do that is to employ creativity. If you think about it, there is nothing that might lead anyone to use infographics in the early days except as a hunch. “Why not explain complex data in a simple picture?” That insight comes from someone who is constantly trying to be creative. Helps you maintain a focus on what needs to get done. But ultimately, blogging will lead to growth as you learn about yourself, your audience and the world around you…leading to further creativity and profitable insights. As you can see by the examples I’ve shared, creators of great achievements always walk down this line. It’s hard to think that anybody would doubt the benefits of blogging to improving your organic search engine efforts, which in turns drives more traffic to your site, but in case there are any unbelievers out there…here’s the evidence: people who’ve blogged five times in the last 7 days will get 6.9 times more search traffic. That’s hard to ignore, don’t you think? Active blogging drives more traffic to your site…and more traffic to your site leads to more leads. And when people show up to your site and find well-reasoned and useful content, they are going to learn more about you. 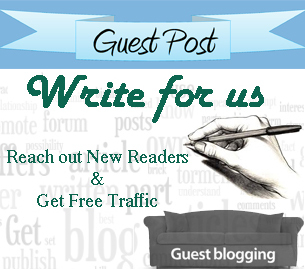 Furthermore, as more posts increase, your overall site traffic will increase also. In other words, accumulating posts on your site over time is like a snowball growing in size as it rolls down the hill. If you think about it, the more content you have the more likely you are going to have something that a reader wants. Why not try and give it to them? Do you know who Kevin Rose is? He’s the guy behind Digg…so he’s pretty famous. Do you know that he bailed on his blog when Google+ rolled out? Many of us found that unbelievable. But this actually happens a lot. A new technology comes out and people flock to it, giving up on what they were building prior to that. In fact, lots of big name companies gave up on their bloggingfor Facebook. Perhaps the numbers are better for them, but from an individual viewpoint, that will hurt you. Look at all the famous bloggers today. People like Hugh MacLeod, Fred Wilson and Rand Fishkin. One of the reasons they are famous today is because they worked hard year after year producing attractive, useful and powerful blog posts. If 52 posts a month is too many, keep it growing by at least feeding it 2 or 3 posts a week. This consistency will pay off over time as you start to see results in about 6 to 12 months. So don’t give up. Finally, the best reason you should continue to blog 2012 is that it’s a proven business model. How you define that business model is up to you. Others used it to build a business, like Brian Clark or Darren Rowse. Still others, like I mentioned it above, used it to brand themselves. This model has been proven over and over that it is strange that some people would ignore it or run to the latest social media fad. 2012 is a great year for blogging. It’s still one of the best tools in your SEO toolbox, a great way to brand yourself as an expert and even improve your life by being a great way to make money. So, whether you have been blogging for years or this is your first, invest in building a blog that becomes something remarkable and profitable and try not to get distracted by those who say it’s dead. 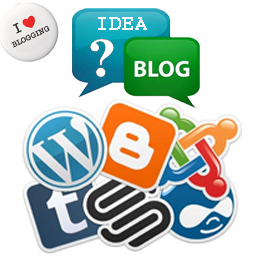 What other elements of blogging do you think will be especially important in 2012?